The Team That ROCKS! Real Estate has partnered with several local businesses for our annual food drive. If you make a donation to ANY Anthem Coffee and Tea location you can receive 10% off of your order. 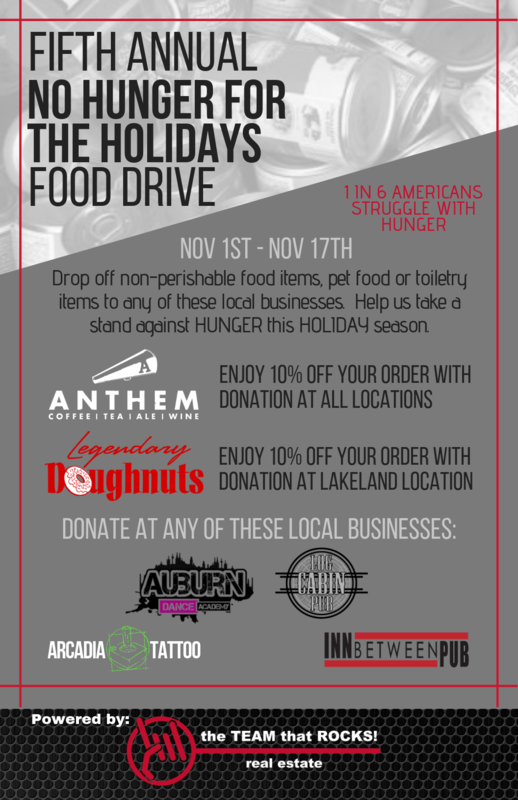 You’ll also receive 10% off of your order with a donation at the Lakeland Legendary Doughnuts location as well. We’ve also got several other donation drop off bins available for your convenience: All three locations of Auburn Dance Academy; the original one in Auburn along with Bonney Lake and Puyallup. Arcadia Tattoo located in Fife. Inn Between Pub in Kent and the Log Cabin Pub in Sumner. 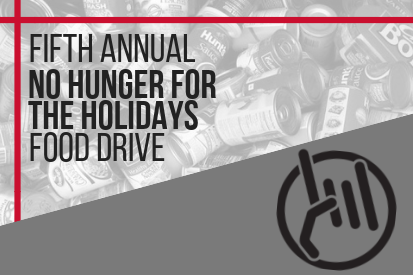 We hope you’ll help us to fight hunger for our community this holiday season and give where you live.